Dr. Mark Newton hopes to do for the state what he has done for years as an emergency medicine physician — take care of Georgia’s families. Life-threatening injuries and illnesses are a staple of the practice of emergency medicine. But in addition to true emergent conditions, patients have also long presented to emergency departments with relatively minor injuries and common illnesses, relying on an already crowded setting for primary care. 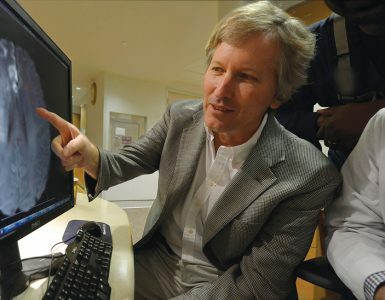 And in 2008, Dr. Mark Newton (‘88), medical director of the emergency department at Doctors Hospital, a Hospital Corporation of America hospital in west Augusta, started seeing another problem. Patients were paying much more out of pocket for their care in the emergency department in the form of dramatically increasing copays and deductibles. “There’s got to be an alternative for the less-emergent conditions,” Newton remembers thinking. 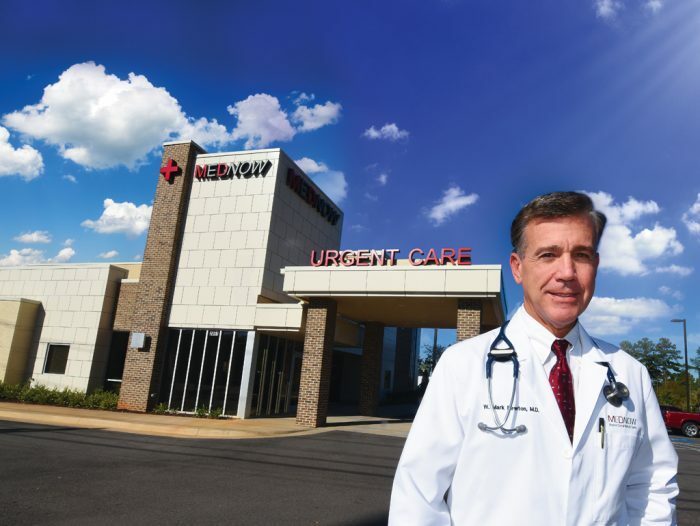 The thought led Newton to develop a solution: a chain of MedNow urgent care clinics (the fourth is set to open in the growing Grovetown area of Columbia County in 2017). But these and other health care issues that he witnessed as a practicing bedside physician stayed in the back of his mind. As the health care industry as a whole underwent massive and rapid changes over the next few years, it fell upon him that more needed to be done. So the emergency physician, medical director, business owner, father and husband decided to try to add another title to his already crowded business card: legislator. After much thought and prayer, in May 2016, Newton decided to enter politics, successfully overcoming two strong opponents to join the Georgia House of Representatives as the representative for District 123 in east Georgia. If you look at a map of east Georgia’s metro Augusta area, District 123 is a sprawling mass crossing two populous counties. It covers Richmond County (home base of the Medical College of Georgia), parts of the communities of Harrisburg, Summerville and West Augusta, then stretches wide arms across the suburbs of Evans and Martinez in Columbia County, bordered by the Savannah River to the east and I-20 and Old Belair Road to the west. It’s familiar territory for Newton, whose background includes several ties to that district. Born in Macon, he attended MCG on an Army scholarship, and later was stationed at Eisenhower Army Medical Center at Fort Gordon, before returning to MCG for a residency in emergency medicine. In between, he served in numerous areas across the United States plus Germany and the Middle East during Desert Storm. 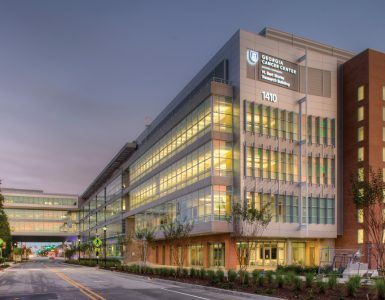 He was an emergency medicine attending physician at the large thriving community hospital, University Hospital, for three years before taking his current role at Doctors Hospital in 1998 as medical director of its emergency department. With the practice growing from 19,000 patients a year to now over 65,000 patients per year, he founded the local emergency physicians group, CSRA Emergency Physicians, in 2002 and opened the first of his MedNow clinics in 2009. It was those ties to health care, the local Army installation and Newton’s business sense that led local community leaders to encourage him to consider becoming a candidate for the District 123 seat when longtime representative Barbara Sims decided it was time to retire. Their request came at a good time. Newton had just completed two years earning a master’s degree in health care administration and management at Harvard University, so his regular trips to Boston were at an end. 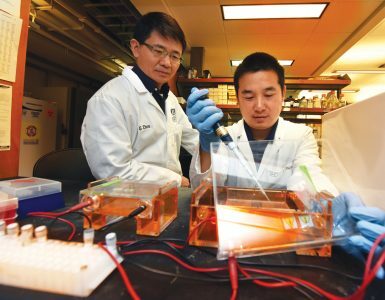 Three of his four children were already out of the house — son Bradley is an OB/GYN resident at Hahnemann University Hospital and Drexel University in Philadelphia; son David, a premed senior; and daughter Christy, a freshman, both at the University of Georgia, their parents’ alma mater. Daniel, 16, has his driver’s license — “so ‘chauffeur’ duties so common with four children are, sadly, diminishing rapidly,” says Newton. Campaigning, it turned out, is much like his experience in health care. “Especially in emergency medicine, I’m used to meeting new people every day and usually in a lot more of a crisis situation,” he says. Newton made a point of meeting one-on-one with residents throughout District 123, knocking on more than 1,800 doors, shaking hands and discussing concerns. During the hard-fought campaign, Newton was able to successfully avoid a runoff and, with no November opposition, will be sworn in this January. 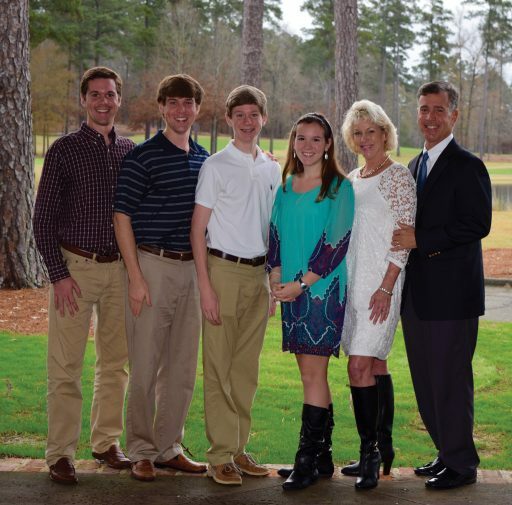 Dr. Mark Newton (right) with his family, Bradley, David, Daniel, Christy and wife Joni. Newton’s own father, Dr. William R. Newton (’58), was a pediatrician and MCG alumnus who practiced in Macon for 40 years. His dad loved his job — “That was something that made it very appealing and attractive to be able to make such a difference in people’s lives,” Newton says. Based on his personal experience, working to make health care more affordable by offering more choices and alternatives is one way. Health care and government have always been intertwined, and Newton hopes to play a role in continuing to refine the relationship between a vibrant and innovative private sector and necessary government programs supporting the elderly, low-income families and children. He also plans to vigorously fight for Augusta University and MCG, including new facilities to support its growing medical and undergraduate campuses. Cybersecurity is another issue that Newton is interested in, particularly with the Cyber Command Center at Fort Gordon coming online and Augusta University developing its own Cyber Institute for cyber education, outreach and research. That’s why it was vitally important to him that Georgia’s legislative system allows for citizen legislators to serve for 40 days of session a year over the first three months of the year and still continue their careers. “Leaving something I love this much? [Entering politics] wouldn’t have been an option if it meant leaving health care,” says Newton.